a path to greater wealth. I regularly travel the world in search of investment opportunities others don't yet see or understand. 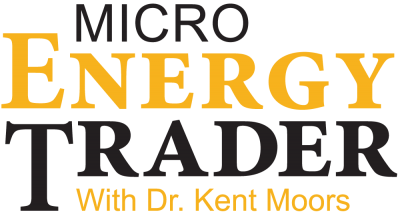 Keith tracks the only six "unstoppable trends" that are creating trillions in wealth and shows you exactly how to trade them - ahead of the crowd. I know the most important people in the energy industry. The off-shoot is almost inconceivable profits. Kent has been paid fat fees to solve problems for the biggest oil companies. But you can get his 40 years of experience for free. Kent knows how to pick 'em... Tell him to keep up the good work, he has a satisfied customer here. Thanks! The technology sector creates more billionaires than almost any other sector of the markets. Never in history have so many mind-blowing tech opportunities hit the market at once. Get Michael's latest report delivered to your inbox. Private Briefing takes only $19.99 to get started - and gives you stock picks that could make you a fortune right away. Money Morning is your map to financial independence – through daily, actionable information provided by experts like Bill. I never send a recommendation unless I'm confident it will make us money. Shah will show you how Wall Street's high-stakes game is really played. Sign up today, and you'll also get his special reports. I had only joined about ten days ago and per your guidance, walked away with just short of $4,000! Not too shabby for a week's work. I've spent more than a decade putting together the high-cost research reports that Wall Street banks, hedge funds, and deep-pocketed individual investors use to make billion-dollar investing decisions. Money Morning is your map to financial independence – through daily, actionable information provided by experts like Matthew. "Stocks make 733% BIGGER moves on average during the seven days surrounding earnings - why the heck would you trade at any other time?" Money Morning is your map to financial independence – through daily, actionable information provided by experts like Chris. I've mastered a three-phase formula that can accurately determine when a new drug will be a breakthrough winner. You're going to love making money this new and exciting way, and whether you're a beginner or an options master, you're going to trade like a pro. You can capture an easy 100% return following Tom Gentile, America’s #1 Pattern trader. My Stealth Stock Trading Indicator helps me identify the 'stealth,' near-invisible indications that certain high-flying stocks and funds are poised for their next big move. D.R. uses his chemical engineering background and years studying proprietary methodology to identify hidden profits to his readers quickly and consistently. I haven't taken a loss on a single trade - and I don't plan to either. Tim shows you how, just by ruthlessly sticking to his five Max Wealth rules, you'll be unleashing explosive gains from the market in no time.